Growing up in a military family, Gary taught himself photography to document his travels from a young age. Volunteering as school photographer for his high-school year book, he spent many weekends and summers in a darkroom. (That’s developing film the old-fashioned way, for all you digital Millennials). 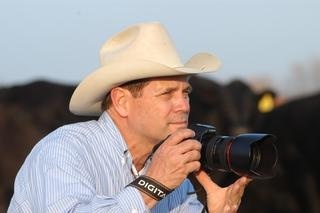 Rodeo photography helped put him through college, and later he was in high demand to photograph livestock of every kind. He spent several years as the official photographer for a Longhorn association, as well as various Stock Shows in the western United States, and eventually shot field work for some oil and gas companies. All of this was just for fun as a sidebar to his career as a university professor in ranch management. Today he continues to shoot recreationally, and shares this website for family and friends to see some of his favorite photos.